Wow guys, he did it. 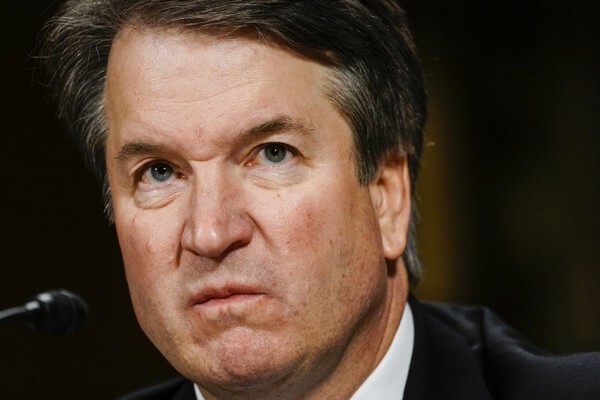 He got his seat on the highest court in the land. As the senate hearings were going on I got inspired to write this bit. This was before he got voted in. And if or shall I say when I get my own John Oliver-esque show called “Challenge The Narrative” on TV-ONE, NETFLIX, COMEDY CENTRAL, HBO, LOL, ALL THINGS COMEDY or some platform that hasn’t been invented yet, I would have done a little rant like this about da Judge. With so many people accusing Judge Kavanaugh it makes me want to call my momma to check where she was ‘81 – ‘85. Montgomery County is only the next county over from where I grew up. My Aunt Cissy knows something. 1981 they were in those DC streets. Also, this whole thing makes me mad suspicious of Judges in general, and the Black Robe look doesn’t help. Maybe it’s time we got rid of robes at the workplace. Unless your a villain scheming with your henchmen inside of a mansion or a person with scandals to hide, what other purpose do robes serve? Think of the two professions that wear robes to work: Catholic Priests and Judges. Sure, robes used to be loose fitting garments that represent righteousness but with so many of the righteous falling, robes are fast becoming symbols of secrecy and scandal for people with loose morals. It’s like, the looser the garment the more you have to hide. Except for Missy Elliot. The only thing she was hiding under that garbage bag suit was hits… and maybe Magoo.